Here's a pic of our booth at DSCOOP a few moments before opening time. 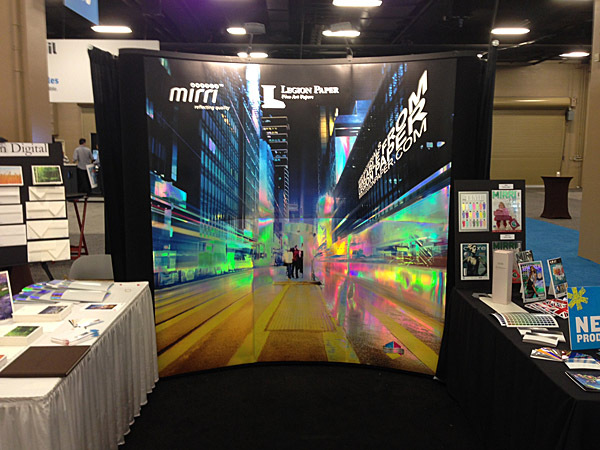 Those panels on the back wall are printed on Mirri to produce a 3D, almost holographic effect. Very cool.